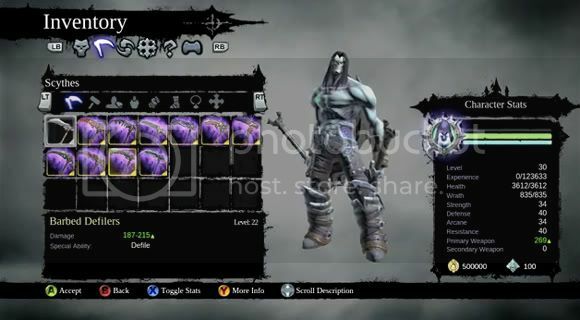 So Darksiders II is already making it's way to our consoles and for some reason the developers still wanted to give us a heads up about the loot and gears we find in the game. Now I really don't need much convincing when it comes to how great the game looks and stuff like that but when I heard Death can equip "possessed weapons" I immediately shouted SOLD! I won't take much of your time now and as if you guys are reading this anyways. I'm assuming you're already loading the video before you even read this so just go ahead and enjoy it.